TORONTO (April 30, 2013) – Brian Rolston, a veteran of 17 NHL seasons, a four time 30-goal scorer, a Stanley Cup champion and a three-time Olympian, officially announced his retirement from the National Hockey League on Tuesday. In a professional career that spanned nearly two full decades, Rolston, 40, appeared in a total of 1,256 NHL games amassing 342 goals, 419 assists and 761 points with five teams: New Jersey, Colorado, Boston, Minnesota and the New York Islanders. Rolston was drafted in the first round, 11th overall, in the 1991 NHL Entry Draft by the New Jersey Devils. He would develop his skills at Lake Superior State University (1991-1993) and the AHL's Albany River Rats (1993-1995), before earning a permanent spot on the Devils’ roster in the 1994-95 season. That season, the club won its first Stanley Cup title in franchise history. He went on to spend the better part of five years with the Devils (1994-1999) before being traded to the Colorado Avalanche in November 1999. “I really enjoyed playing with Brian over the course of nine seasons. He was a great teammate and friend,” said former teammate and current Devils goaltender Martin Brodeur. “As a player, he was instrumental in a lot of the success we had in New Jersey, including our first Stanley Cup, and I can’t say enough about the leadership and passion he brought to our team." The Flint, Michigan native played 50 games with the Avalanche before being dealt to the Boston Bruins in March 2000. It was with the Bruins where the smooth skating winger found immediate success, registering point totals of 58 (19 goals, 39 assists) and 62 (31 goals, 31 assists) in back-to-back seasons with the Bruins. Rolston later signed with the Minnesota Wild in the summer of 2004 after playing over four seasons in Boston. In the 2005-06 season, as a member of the Wild, Rolston recorded new career highs in goals (34), assists (45) and points (79) and was named to his first NHL All-Star Game the following season after yet another stellar campaign in which he was tied for the team lead in points with 64 (31 goals, 33 assists). In the summer of 2008, Rolston signed with the Devils as an unrestricted free agent, returning to the team that he played his first NHL game with on February 5, 1995. His career came full circle after playing his 1,000th career game on January 10, 2009, becoming just the 234th player in NHL history to reach the milestone. Over three seasons, as a member of the Devils, Rolston recorded 103 points in 209 games before being traded to the New York Islanders in the summer of 2011. 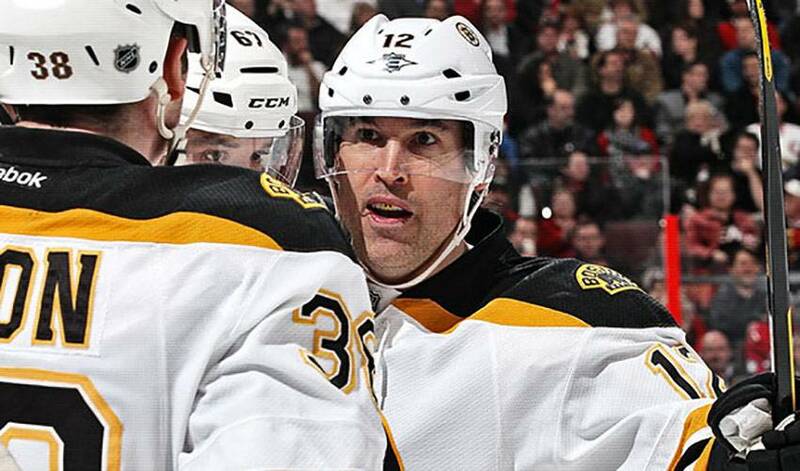 He split the 2011-12 season between the Islanders and Bruins, finishing with 24 points in 70 games. “I was lucky enough to play with Brian in New Jersey. Everyone knows how great of a player he is, but I also got to experience how great of a person he is. He is the ideal professional and has the unique ability to always keep everything positive and light in the dressing room, which isn't easy in a sport that has so many ups and downs. “Rolly” had a great career, and his presence on the ice and in the locker room will be missed,” said Minnesota Wild forward Zach Parise, who played with Brian in New Jersey from 2008-2011. Rolston was a strong two-way player who showed great durability throughout his career as he appeared in at least 80 games in eight different seasons. He also played in 77 playoff games over 12 postseasons. Internationally, Rolston had success at various levels of competition. He represented his country three times in the Olympics (1994, 2002, 2006), and was a member of the silver medal winning team in Salt Lake City. He also appeared in the World Championships (1996) and was twice a member of the American team at the World Cup of Hockey (1996, 2004), capturing a gold medal in 1996 as part of the team that is widely considered one of the best USA hockey teams in history. Also, he played in the World Junior Championships in three consecutive tournaments, and he was a member of the USA team that captured a bronze medal in 1992. Brian will continue to reside in Traverse City, Michigan with his wife Jennifer and four sons, Ryder, Brody, Stone and Zane. There is no relation between Adam and Ryan Graves, but they immediately hit it off after the Rangers selected the younger Graves in the fourth round at the 2013 NHL Draft.